set only to fine adjust v/f for the output range when using flux vector control of frequency speed and voltage of inverter .normally this setting range and factory setting will be cut by 50% for the inverter of 200v class . to set the constant e 1-0 4 ~e 1-10 when e 1-0 3 =”f” the setting except “f” is only for reference . when v/f characteristics is straight line please set the value of e 1-0 7 same as the value of e 1-0 9 now the constant e 1- 0 8 is invalid. 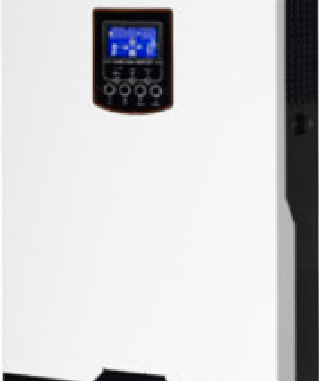 for the inverter of 200 v class, frequency speed and voltage of inverter the setting range and factory setting will be cut by 50% . if v/f characteristic needs to be set as a straight line please set e 1 -0 7 ,s value is same to be e 1 -0 9 in this case e 1- 0 8,s setting will be taken as disabled . please set the 4 frequencies according to below. e 1- 0 4 (f max ) >e 1- 0 6 (f a > e 1- 0 7 (f b) >e 1-0 9 (f main). to set the input frequency speed with voltage of inverter in unit of v.
1 for 200 v class inverter, the setting range and factory setting will be cut by 50% . the voltage settings shown in parentheses are the values for the 400 v class. the setting is used as the reference value for functions such as protection functions. set input voltage (e 1- 0 1)according to the input voltage. set it is as motor,s protection reference. frequency speed and voltage of inverter, it is used to set the delay time from inputting the multi function input speed/torque control change (off-on or on-off)until the actual control is changed in unit of MRS.
frequency speed and voltage of inverter, the timer setting is effective only when 71 (speed/torque control change)has been set in one of the multi function inputs (h 1-0 1 to h 1-0 6). this setting specifies the delay (0 to 1,000 m s )between a change in the multi function input (on, off or off on )and the corresponding change in the control mode . during the timer delay the value of the 3 analog inputs will retain the values they had when the on/off status of speed/ torque control switching signal was changed . use this delay to make any preparations for the change in the control mode. it is used to set the speed limit bias in unit of 100 % with max , output frequency take as 100%. the speed limit bias can be used to adjust the margins of the speed limit , when the speed limit bias is used , it is possible to set the same speed limit value in both the forward and reverse directions. set the speed limit bias as a percentage of the maximum output frequency . (the max .frequency is 100%), for example the following settings establish speed limits of 50% of the maximum output frequency in both the forward and reverse directions. speed limit bias setting 50%(d 5-0 5=50). when a forward speed limit and a speed limit bias have been set the speed range of the torque control is from the – speed limit bias setting to the speed limit setting + speed limit bias setting.in effect the speed limit range is extended by the speed limit bias in frequency speed and voltage of inverter the forward and reverse directions. You are my inhalation, I own few blogs and sometimes run out from post :). “To die for a religion is easier than to live it absolutely.” by Jorge Luis Borges.